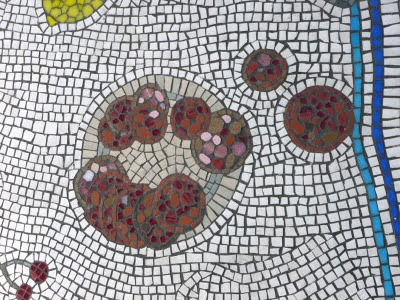 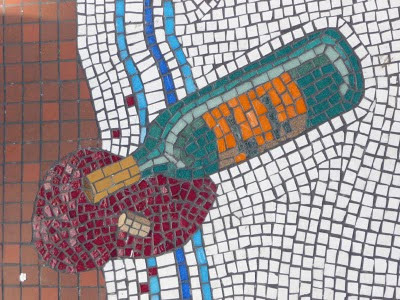 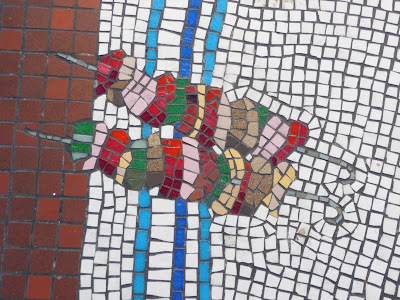 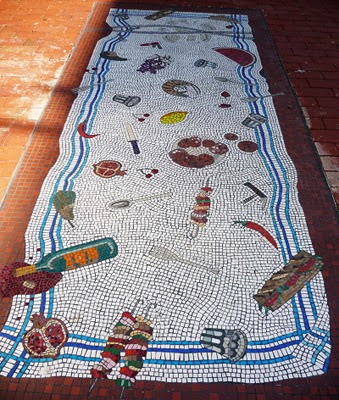 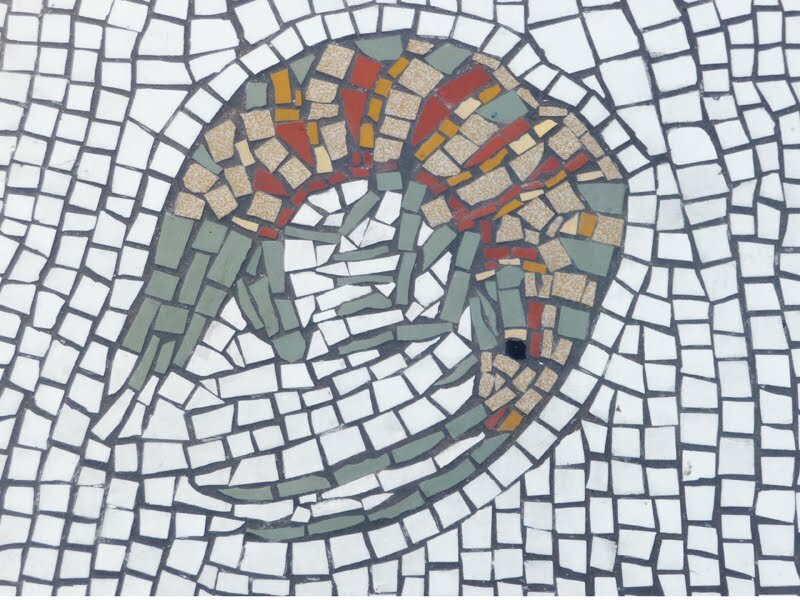 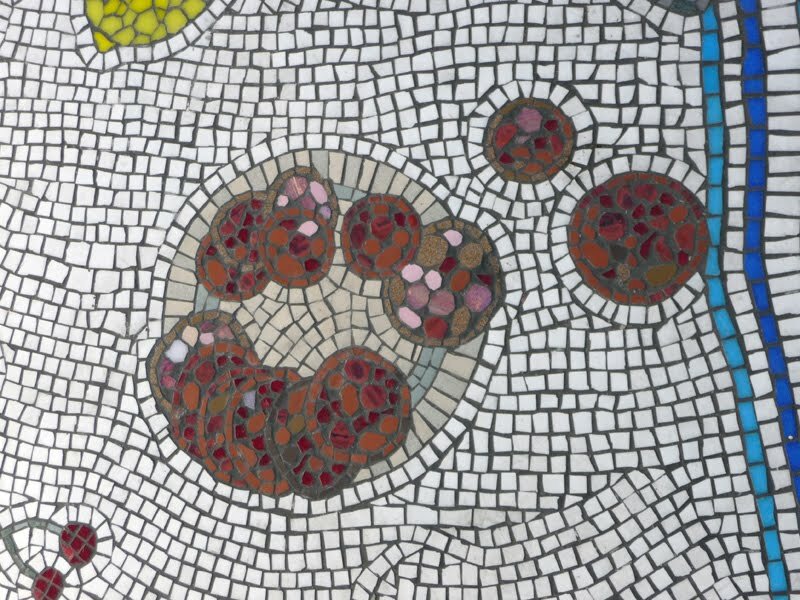 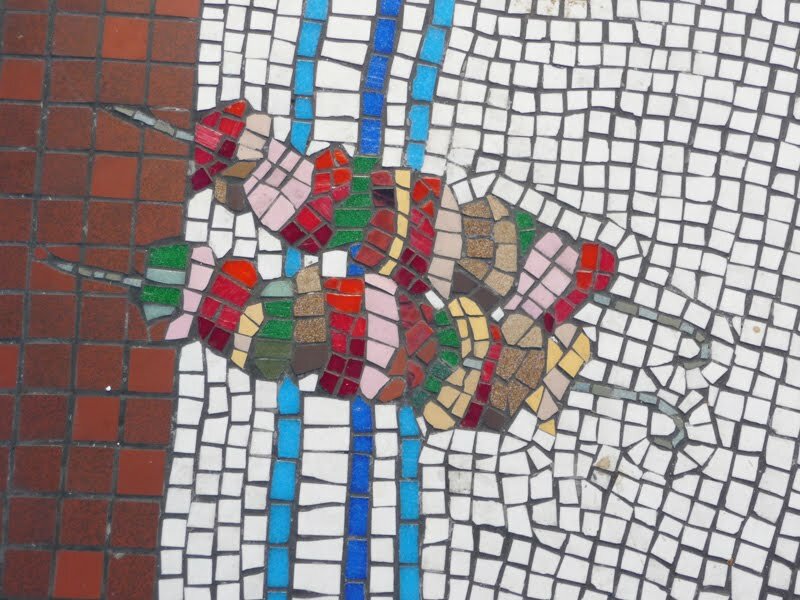 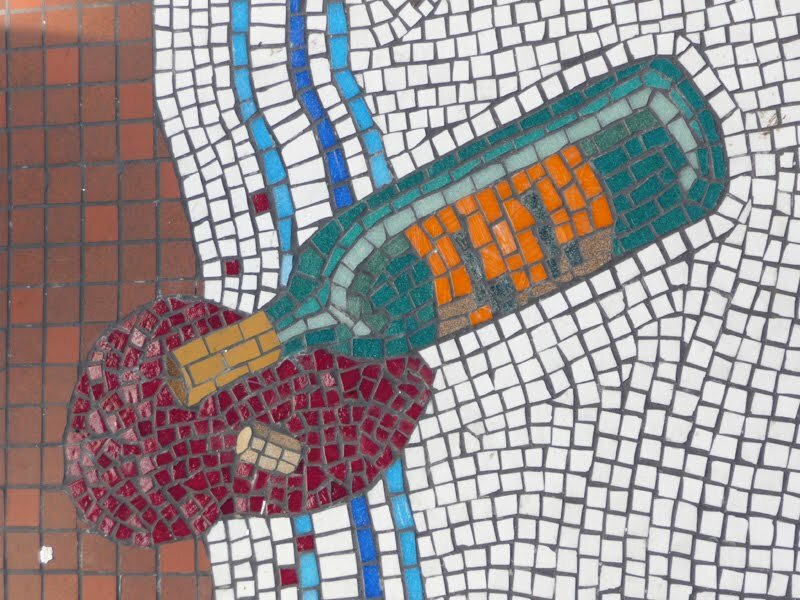 Does any one know anything about this gorgeous foodie mosaic that seems to have appeared overnight in Brighton on Station Street/Trafalgar Street junction? 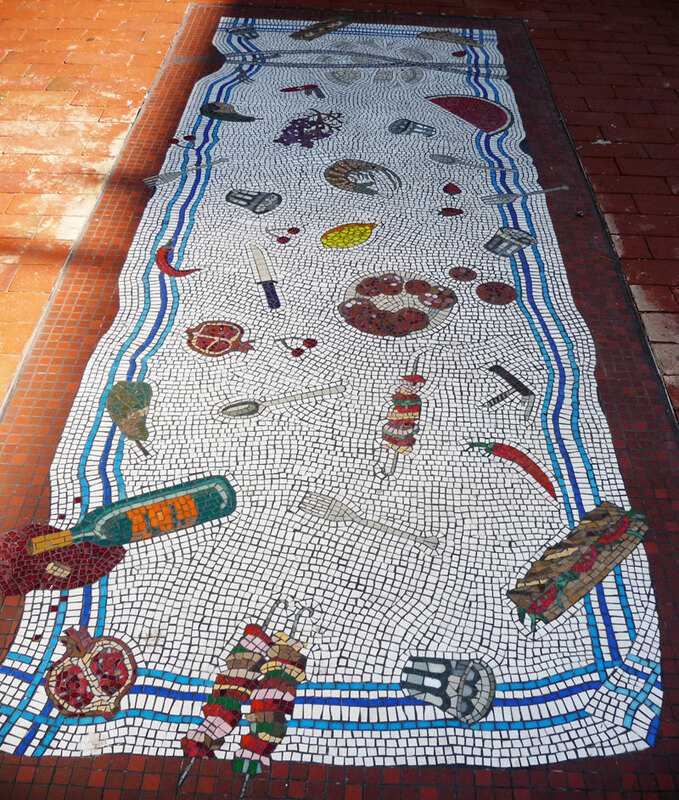 It doesn't seem to have been positioned in a particularly foodie-centric area but it's fantastic! A tumbled bottle of wine, a nice plate of charcuterie, a prawn or two and some juicy pomegranates. 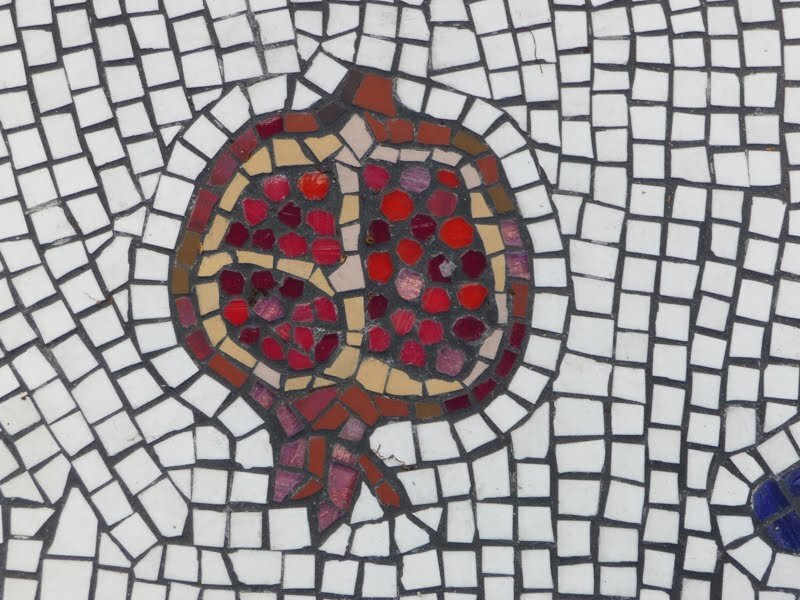 I'm tempted to picnic on it.